My girlfriends and I love to celebrate just about everything, and we especially make an effort to be together for our birthdays. Elise brought a box of four individually packaged cakes made from the Original YaHoo Baking Co. Of course, you can make your own or purchase from a local bakery. Janiece had fun trying to choose either the Bourbon Pecan, Chocolate Espresso, Rum Crunch or Chocolate Chip Amaretto Liquor Cakes. They were delicious and the perfect size. Besides, who needs the calories of a regular size cake? 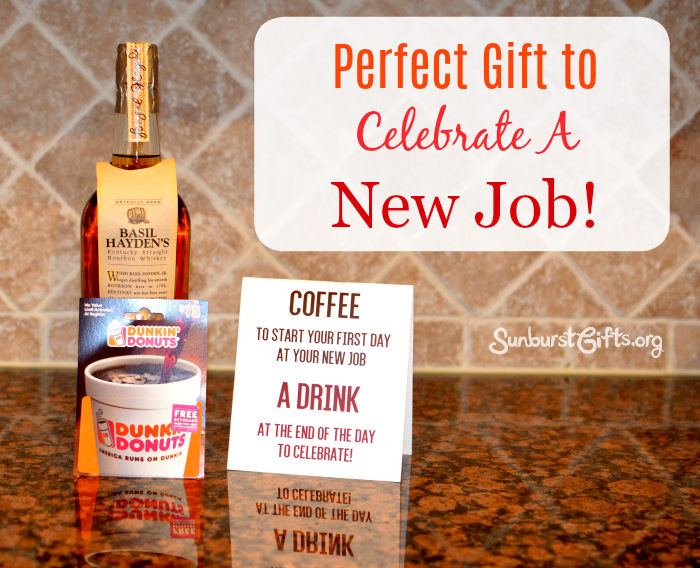 Starting a brand new job is an exciting time in someone’s life and a cause for celebration! My husband was not only starting a new job, but he was also starting his first job in his new career. This was a big achievement and I wanted to mark the occasion with a gift. That first day of a new job is always a mix of excitement, anticipation, and nervousness. Kind of like the emotions we all had on our first day of school. I wanted my gift to prepare him to start his first day on the job and give him something to look forward to at the end of the day. I bought a gift card to Dunkin’ Donuts just around the corner from our house and a bottle of his favorite liquor. The morning he started his new job, I put the gifts on the kitchen counter along with this note for him to find. A drink at the end of the day to celebrate! Even if you like your boss, the thought of physically hugging them might make you cringe. Your boss may not want you hugging them either. Let me take the awkwardness out of National Hug Your Boss Day that takes place in September each year. 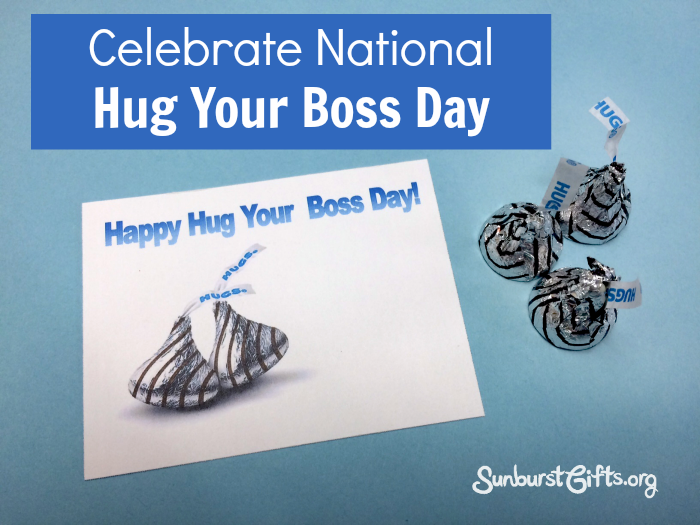 Instead of giving real hugs, give your boss or supervisor Hershey’s Hugs with a handwritten note or card. If you appreciate that your boss makes coming to work enjoyable, you should let him or her know. Make sure to give specifics on reasons why you’re glad to have that person as your boss. Does your boss trust you to get the work done instead of micro-managing? Does your boss share information openly and candidly? Does your boss take time to appreciate you as a person instead of just an employee? Is your boss supportive of work-life balance? I donut know about you, but I love this gift idea! 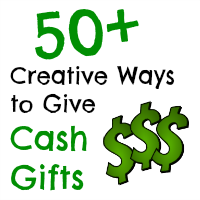 It’s a cute, fun and non-traditional way to celebrate, appreciate or congratulate a person or group! 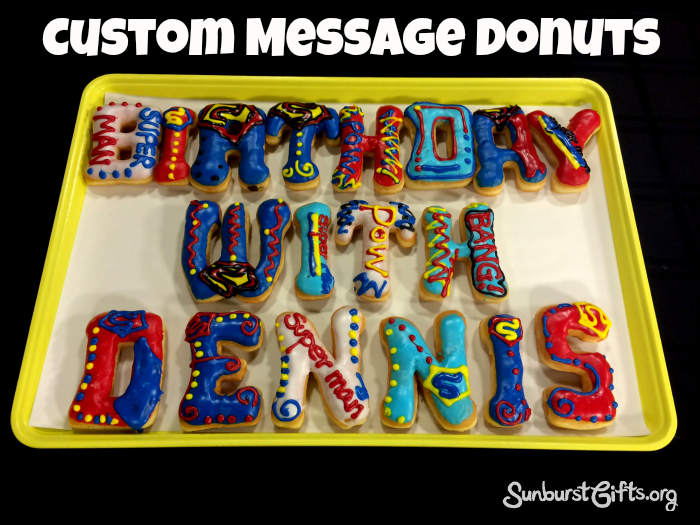 I’m talking about donuts in the shapes of letters so they spell out a message – whatever you want to say. 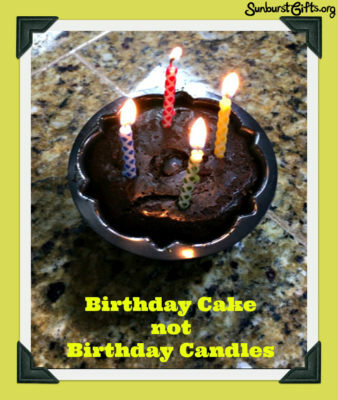 This edible gift idea is really popular with kids on their birthdays. I love that different words can be decorated to look totally different. Who knew donuts could be so fancy! You could even surprise them with the box of donuts at school so they can share the donuts with the whole class. 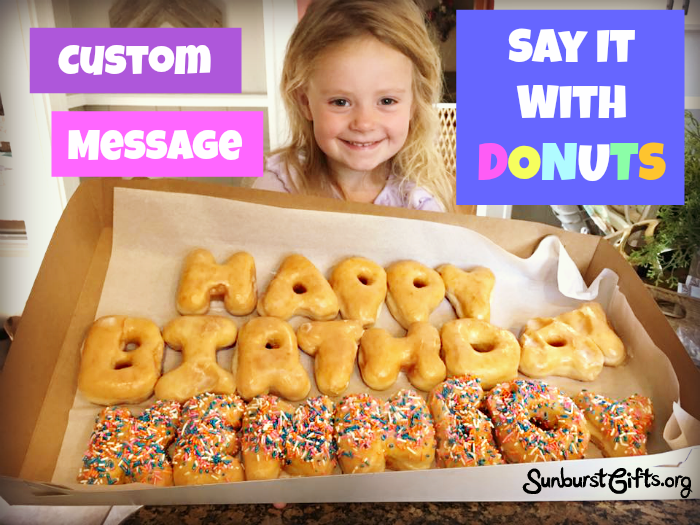 Kids will remember Custom Message Donuts over cupcakes any day. And your child holding the big box of donuts will make for such a cute picture! Adults would love these too. Imagine their face when they find a big box on their desk at work and open it to see what’s inside. It’s only morning and you’ve already made their day! How very thoughtful of you. Do you ever need a reason to celebrate? I’ve got hundreds of them for you. Almost 365 reasons really because there exists an obscure holiday on almost every day of the year. 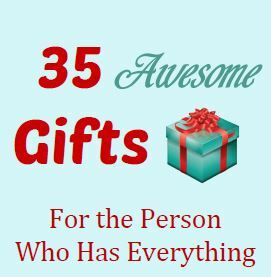 How is this a thoughtful gift idea? Because people will love you for turning an ordinary day into an unexpected celebration! If you work in an office, you’ll be giving your co-workers an opportunity to take a break from staring at their computers to have a little bit of excitement and variety. Take this scenario. It’s a typical Monday at the office. 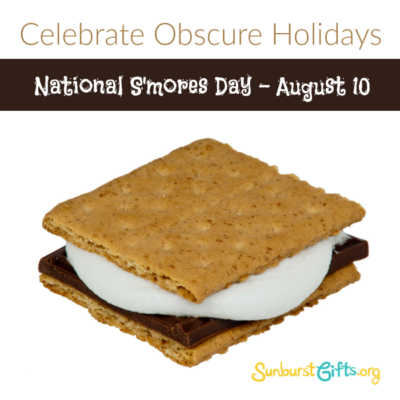 You surprise everyone with s’mores because it’s National S’mores Day! Your co-workers enjoy eating their delicious snack, and it makes them feel like a kid again thanks to you! Bosses, supervisors and managers can use obscure holidays related to food (think Sundae Day and Pie Day!) to show some love to their employees. On Popcorn Day, you could give your friends, family members or co-workers flavored popcorn. Oreo Popcorn is my favorite and it’s easy to make! You could also place an unpopped bag of popcorn on your co-workers’ desks with a small note about it being National Popcorn Day. They’ll appreciate the snack and the fact that you thought of them, making it a thoughtful gift! Here is a list of some obscure holidays that would be fun to celebrate. View a more comprehensive list. 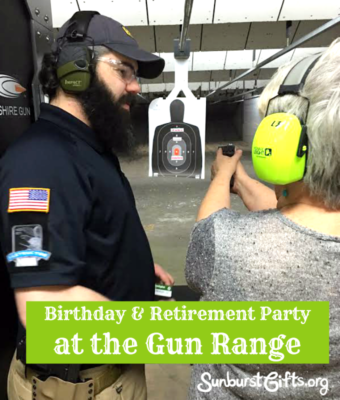 Ever celebrated a birthday or retirement at a gun range? My girlfriends and I did both! One had a birthday, and the other two were retiring! Our friendship has spanned for 40+ years and we have celebrated many life events with various experiences, but I must say going to the gun range was a first! What an exciting thrill! I hired an instructor for a private lesson to train us about safety, how to hold a gun,and how to aim and shoot. There’s a proper technique as you can imagine, and knowing it made us feel more comfortable handling a gun. A gun range date night or group package is a unique gift idea for a beginner, intermediate or advanced shooter. I highly recommend it for a different kind of experience for a date night, a celebration, or just bonding time with friends and family. 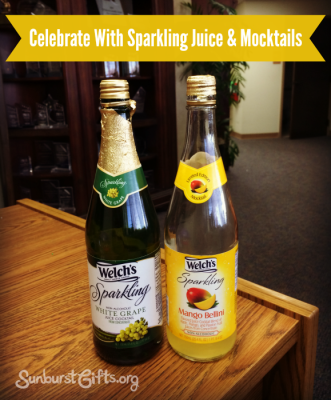 There are many opportunities for celebrating at work. Just because you can’t consume alcohol or champagne at the office shouldn’t prevent you from toasting someone’s good news. My co-worker, RaShonda, recently received a job promotion and became a grandmother for the first time. Two big reasons to celebrate! To congratulate her on her two brand-new titles, Personnel Assistant and Gigi (her nickname for grandma), I decided to bring some treats to the office. I brought a bottle of sparkling white grape juice cocktail, a bottle of sparkling Mango Bellini mocktail, and some white chocolate covered pretzels. Sometimes, the best way to celebrate is to buy someone a drink… or two or three. If you can’t be there in person to do it, the second best thing is to give them a Beer Money Koozie Gift. 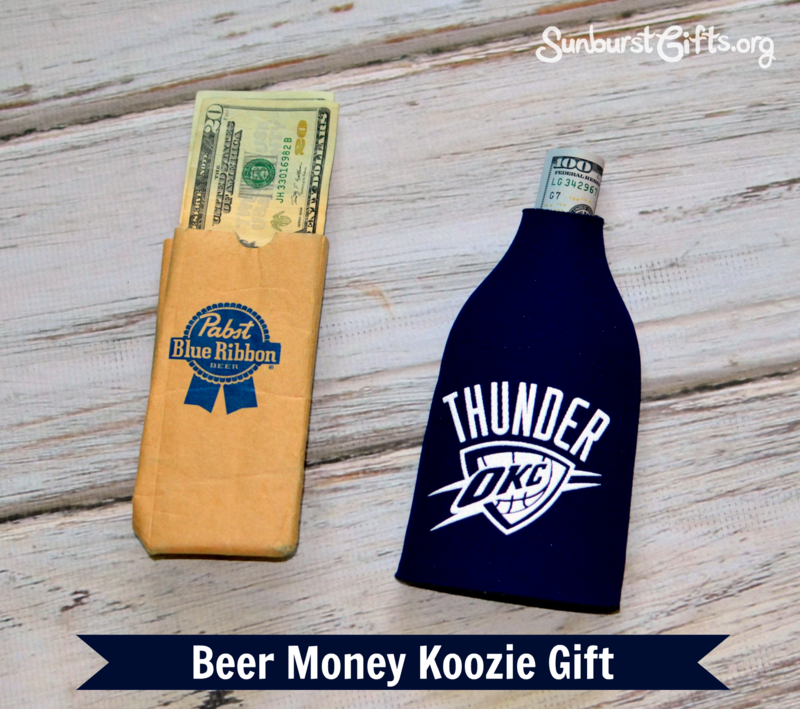 Pick out a koozie (or coozy) for the lucky gift recipient, and place some cash inside. Then write a note with one of the following messages or one of your choosing. Thought you could use some beer money! Let me buy you some drinks for your 21st birthday! A round of drinks on me! Beer is happiness. This will buy you a lot of happiness! Use this money to make happy hour last well into the night! We’re so excited to announce that we’ve published our 250th blog post! 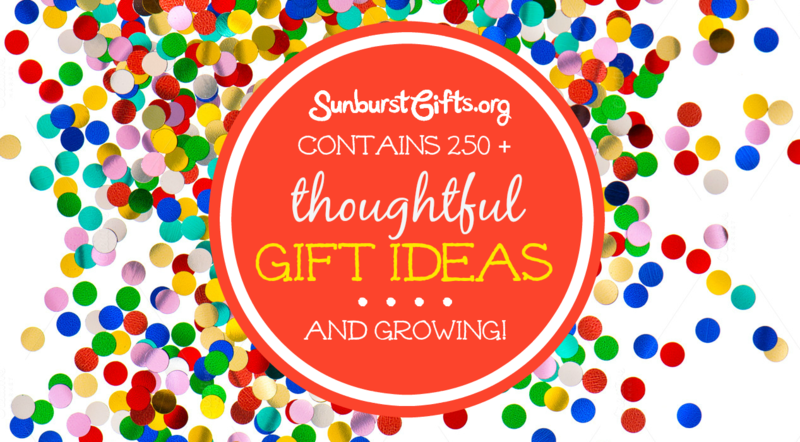 Since several of our articles contain multiple thoughtful gift ideas means www.SunburstGifts.org now offers 250+ thoughtful gift ideas for anyone to use. It’s all in one place and easily searchable by gift category and keyword. Now that we’re gearing up for the holidays, we hope you’ll share our website with your friends and family to help them come up with the perfect gifts for their loved ones. 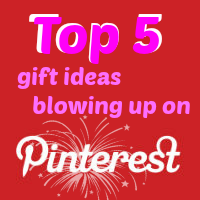 If you’re not aware, Sunburst Gifts has a Pinterest page where you can pin your favorite gift ideas. We also have a Facebook page where you can easily share and comment on the gifts we post. 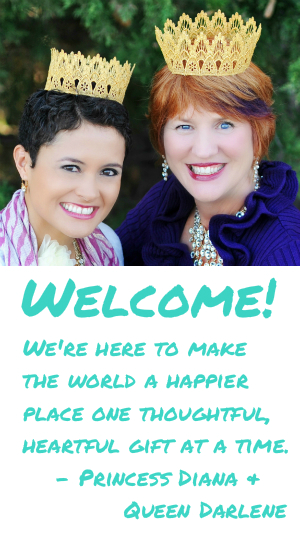 Queen Darlene and Princess Diana wish you the least stressful holiday season you’ve ever experienced, and we hope our gift ideas can get you to your happy place! Cheers! When someone else’s words say it all or say it better than you ever could, you’ve found the perfect quote to use for this gift idea. This powerful quote says so much about my mentor and her accomplishment. 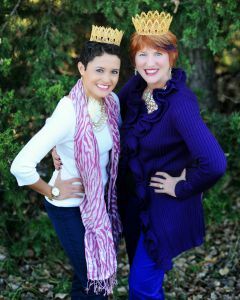 I was so impressed by her vision and her tenacity to see her vision through until it became reality. 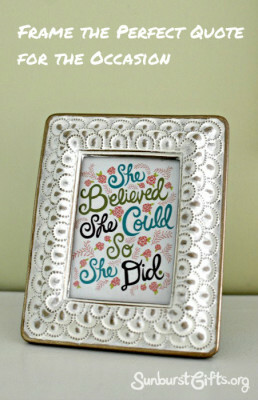 And she did it despite the naysayers. She inspires me with her actions. 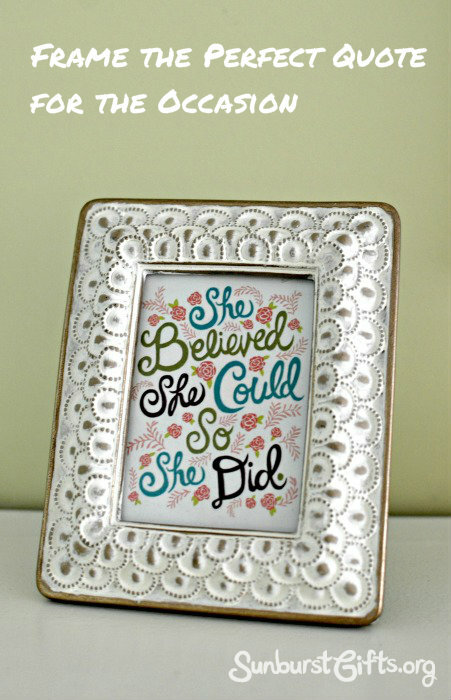 It summarized her accomplishment so well – the perfect quote!